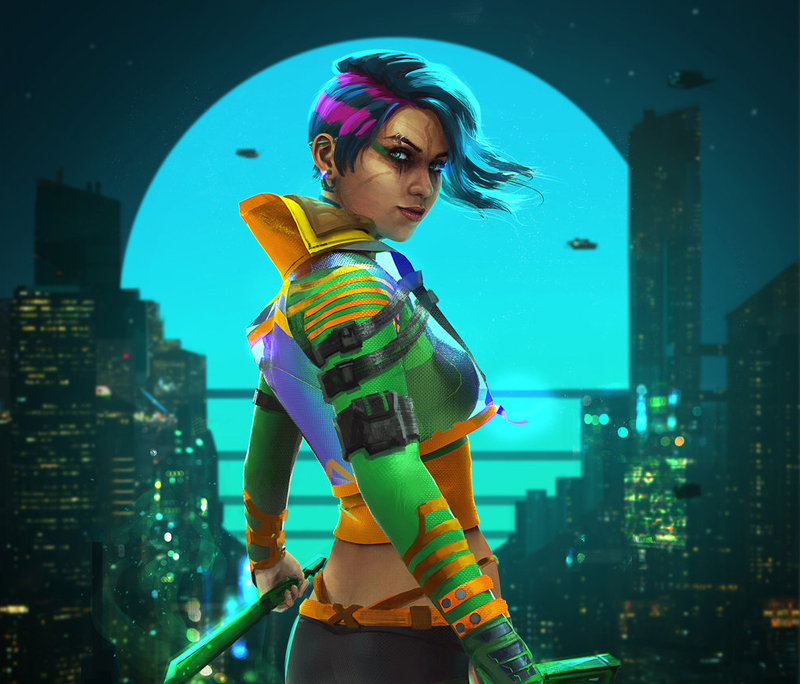 Stormcrest Games is the publisher of the cyberpunk, collectible card game Master of Wills. 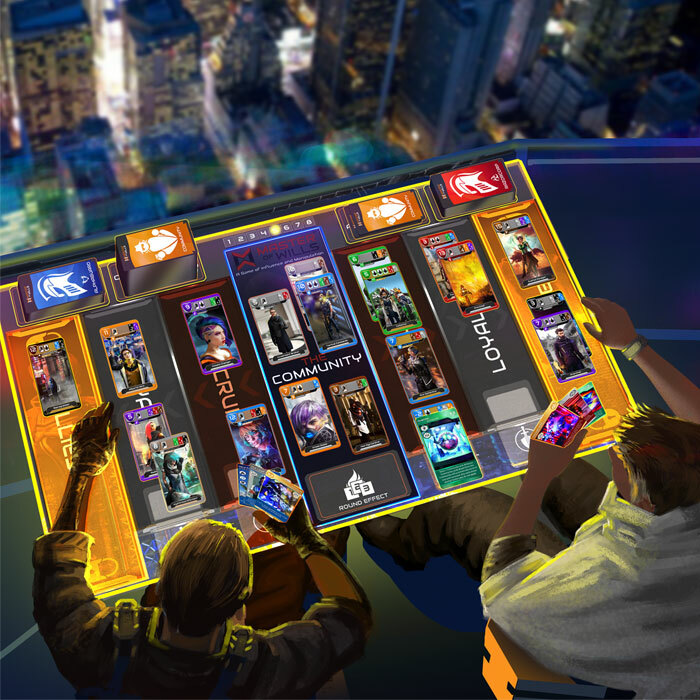 Using their faction decks, players try to get citizens of the Community to join their side and fight against their opponents. Joshua Calloway’s art for Master of Wills is super slick and portrays a wold of asymmetrical hemlines, bold pops of color, and… am I talking about fashion? You bet I am! Stormcrest Games has announced they are partnering up with fashion company, Volante Design, in creating a line of clothing based on the clothes depicted in Master of Wills! I am a huge fan of Volante Design’s work so this is a really neat crossover! How did these two companies come together? Well I spoke with Joshua Calloway, Art Director/Lead Artist for Stormcrest Games as well as Willow Elise Volante, CEO of Volante Design, about this exciting project. Jess: Ok I’ve seen a lot of team ups between video game companies, authors, and artists with board game designers, but this is the first time I’ve heard of a fashion company working with a game publisher! How did you all come together? 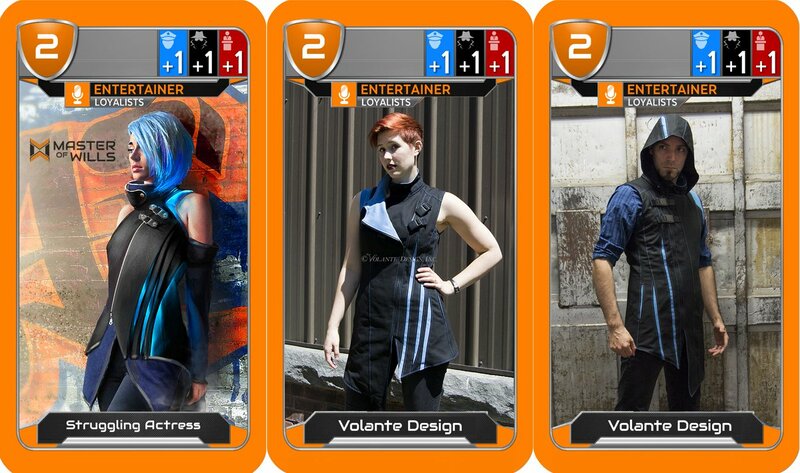 Joshua: Basically we took notice of Volante Design at Gencon in 2017 when we were first playtesting our game. 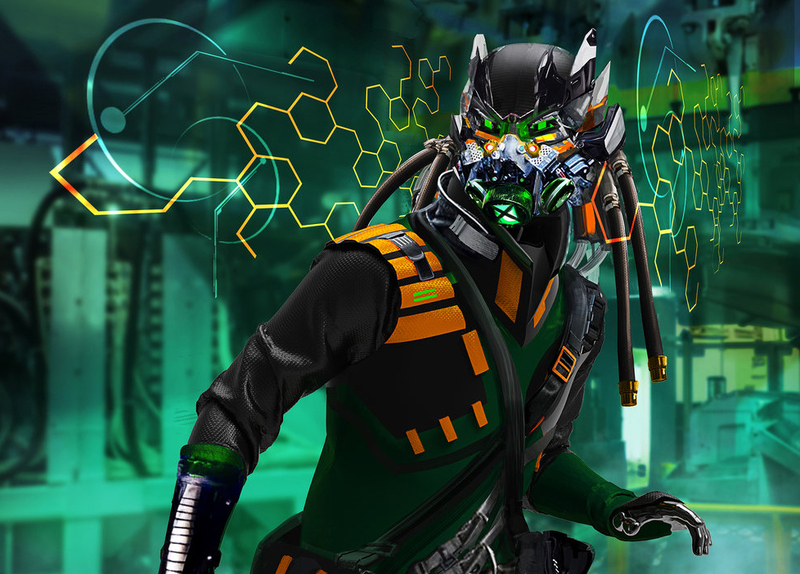 Their cyberpunk and futuristic aesthetic matched the game universe that we were developing. Personally I have a passion for fashion / character design and I’ve always wanted to bring my character design work into the real world so when the time was right I planned to reach out to them. During the following months we noticed that we were attending and showcasing at a couple of the same conventions. PAX South and PAX East. We started discussing the idea of collaborating and while both of our comapnies were at PAX East we decided to make something happen. A few months later we have the first design prototype and are about to start production on the first available garment. 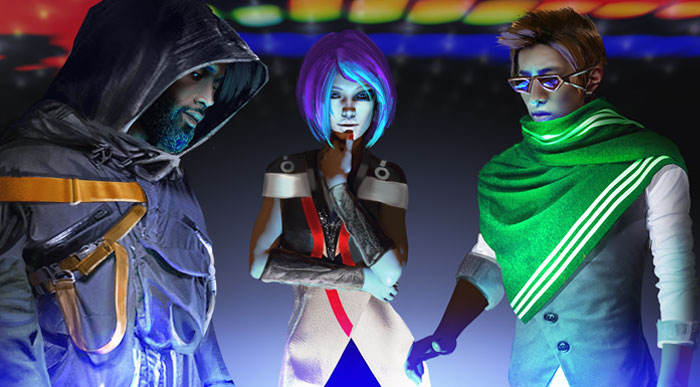 The partnership is going to be a collaboration where we work together with Volante to create fashion apparel based of the characters and fashion in our game’s universe… It felt like a great opportunity to expand our game’s universe into something quite unique while also giving Volante the opportunity to expand their available collection and continue to grow. Jess: So Willow, is this your first foray into tabletop related designs? Willow: This is our first board game piece! Although we’ve done work with comics and video games. Jess: So, are you a tabletop gamer? Willow: We love to tabletop games! We enjoy Risk Legacy, Master of Wills, Catan, Ninja, and many many others. Jess: What is it like to work with each other? Joshua: It’s amazing! They are super passionate, friendly and very easy to work with. It’s a dream come true in a way to see some of my design work come to life. Willow: We are very happy to be working with like-minded creative people like Josh as well! It’s a little like we have share the same stylistic language, and we both genuinely like what we do, so there’s very little hard work involved. We’ve got a lot of work, no question, but it doesn’t feel hard. We get to play and make something really cool for our fans without having to convince some corporate boss why fans like x or y or z.
Willow: Those will have to be kept secret until we release them. We’ve put out a single teaser image but there will be much more soon! Jess: Do you think Volante Design take on more Tabletop related work in the future? Willow: That really depends on if our customers like the direction we take these designs in. So, basically time will tell! Jess: Thank you both with for letting us learn a little more about this awesome project! Joshua says they are aiming to debut the first garments in August in time for Gen Con so if you are attending the convention this summer keep an eye out for their work and make sure to check out Master of Wills and Volante Design for more info.